Fashionable Shoreditch drinkers from all around the globe are attracted to this cellar bar by its rickety old furniture, interesting imported beers, and a pricy, but very tasty selection of Mediterranean bar snacks and sandwiches. However, the thing that draws people here from the four corners of London is their shared love of table football. There are 10 original French Bonzini 'babyfoot' tables over two floors, all constantly surrounded by a crowd of people giving advice, arguing tactics or just shouting support. You can play by World Cup rules - which include the common sense: "there must not be any banging of the tables, bars etc to distract the opponent" - French rules or no rules at all; just make sure you're reading from the same hymn book or things could get ugly. Bar Kick also runs live football screenings and a weekly free comedy night on Mondays at 8pm called Comedy Cellar. Bar Kick clubs, bars, cabaret nights, casinos and interesting nightlife. 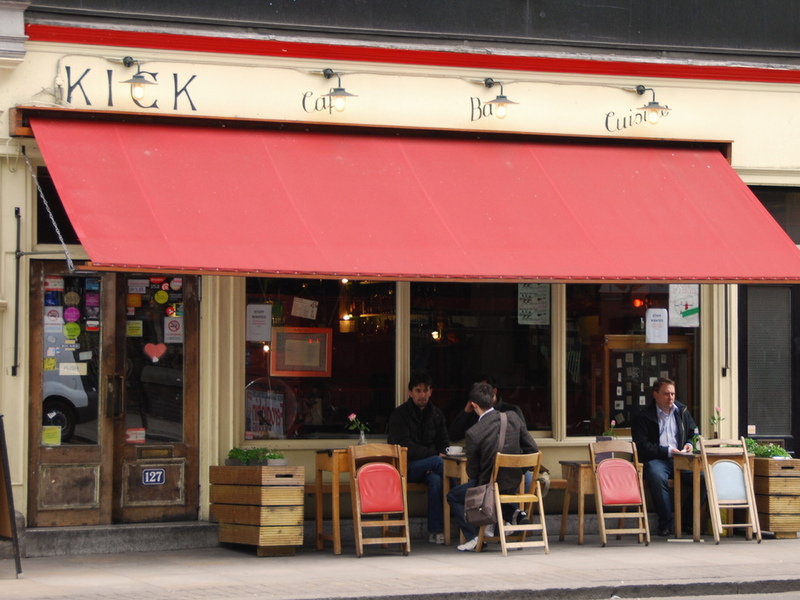 What are the best dining options near Bar Kick London? Bar Kick gyms, sporting activities, health & beauty and fitness. The best pubs near London Bar Kick. Where to have your meeting, conference, exhibition, private dining or training course near Bar Kick. From cheap budget places to stay to luxury 5 star hotels see our discounts for Bar Kick hotels, including Courthouse Hotel Shoreditch from 80% off.